Visit www.myuhcvision.com to find the vision network providers near you. Save the most money by using a network provider. You can choose where to have an exam and where to purchase glasses or contacts. Dependents covered to age 26 (eligible until the day they turn 26). 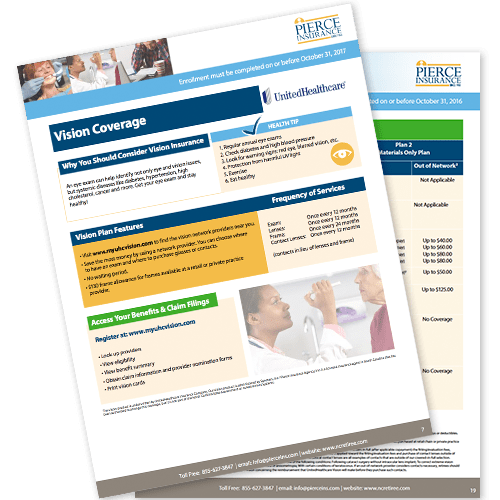 Learn about how UnitedHealthcare’s vision plan protects your vision health: benefit explanation, premiums, how to file a claim and how to enroll. In-network provider: There is no claim form. Give your social security number to your provider to access your benefits for payment. Out-of-network: Complete the attached claim form and follow instructions. 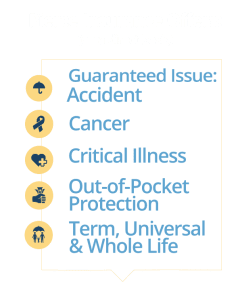 Your company (and agent Bob Driver) provides outstanding service and products which has enabled employees to make the right choice and feel confident that they and their loved ones are adequately covered. 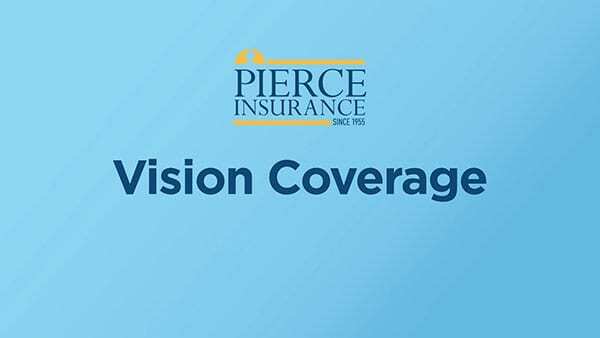 I highly recommend Pierce Insurance to all state agencies.